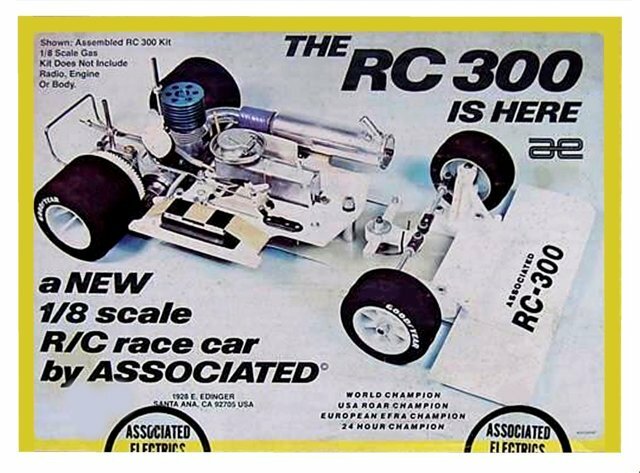 Team Associated RC300 • (Radio Controlled Model Archive) • RCScrapyard. RCScrapyard ► Iconic Vintage Radio Controlled (RC) Model Car Archive ► Team Associated RC300. Introduced by Team Associated in 1979, the RC300 was probably the most successful of the series, winning numerous ROAR and National championship races, through to 1982. 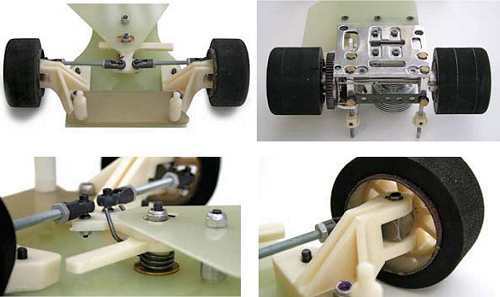 The 2WD FRP plate and alloy pod pan car design of the RC300, has a fixed axle configuration and a full set of ball bearings. To race the Team Associated RC300, it has to have the best settings for your driving style and provide you with excellent handling and stability. The smallest changes can make a huge difference in the way your car performs on the track and our comprehensive instructions will help you to find the best Set-up to get you where you want to be.